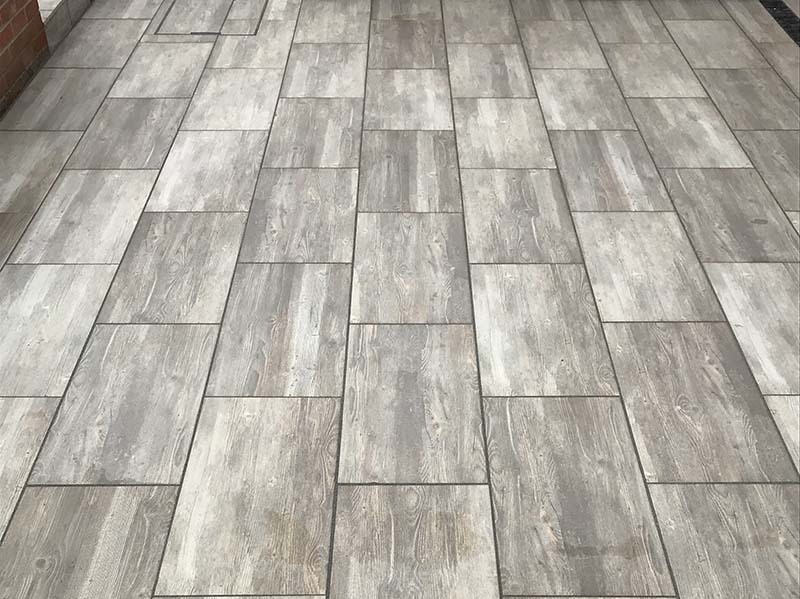 If you are looking for something a little different with a sleek and modern appearance, then we have a new material for your consideration, Ceramic wood effect tiles, suitable for driveways or patios. This material looks great on patios that connect to the house as a hardwearing and luxury alternative to wooden decking. The modern clean lines of this material really help to bring the outside into the home, creating a seamless flow from house to garden. The image shown is just one example we have recently installed, various other colours and textures are available. For more information on ceramic wood effect patios or driveways, please feel free to give us a call for a chat on 01773 605372.